Star Wars: Episode VII Has A Real Title Now! 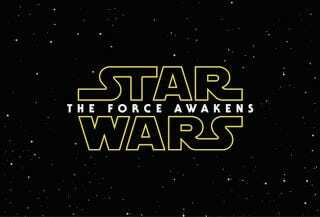 The movie now known as Star Wars: The Force Awakens will premiere on December 18th, 2015. Looks like it's dropped the Episode VII moniker as well. Hmm. Could be better, but it also could be a lot worse. I kinda dig it. Thoughts?